Are you ready for endless hot water and more usable space, while increasing your property value and reducing energy usage saving you money? 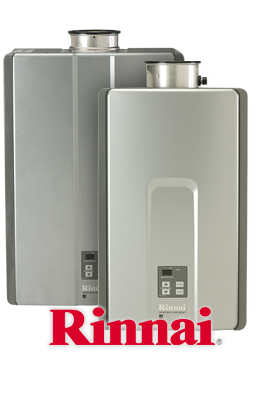 With nearly 100 years of experience and innovation Rinnai is the most reliable name and number one selling brand in the tankless water heater industry. With decades of commercial experience, Rinnai has enhanced business operations with its innovative technologies. For residential or commercial, Rinnai makes a tankless water heater for you and the certified technicians at Delcor can help you with the installation process.